The oldest residential structure in Jackson, The Cedars means many things to many different people. Historical site, wedding venue, art hub and event space – the grounds of this home have stood the test of time for 175 years. Constructed around 1840 as a two-room galleried cottage by William Garland, The Cedars was originally part of a large tract of land known as Garland Plantation that spread from present day Northside Drive and State Street east to the Pearl River and Lakeland Drive. At the time, the location was outside of town, making The Cedars the last stage coach stop after leaving the city of Jackson before Canton. Garland and his two brothers, Samuel and Burr, came to Mississippi from Lynchburg, Va., in 1832. While William built The Cedars, the brothers built dwellings down the hill where The Rogue/4450 now stands. William died in 1847 and the two siblings inherited the property. Leaving to return to Virginia at the start of the Civil War, the land was sold. 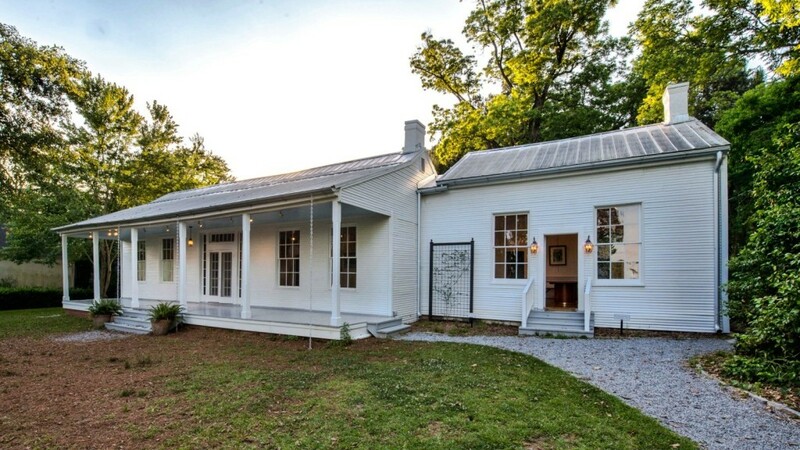 Over the years, the structure has changed slightly, most notably adding the plantation’s one-room schoolhouse, connected on the north end of the home. The home has had several owners, including Governor Hugh White. 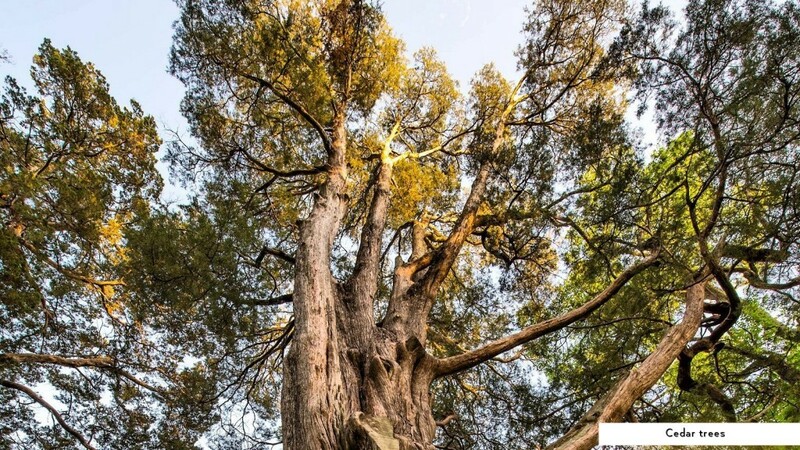 However, the story of the Cedars almost ended 15 years ago. In 2001, the home was listed on the Mississippi Heritage Trust’s Most Endangered List. The structure was in need of repair and the location was now prized near the arteries of Meadowbrook and Old Canton roads. After the property was purchased for a large sum with the intent to develop into condos, plans fell through. 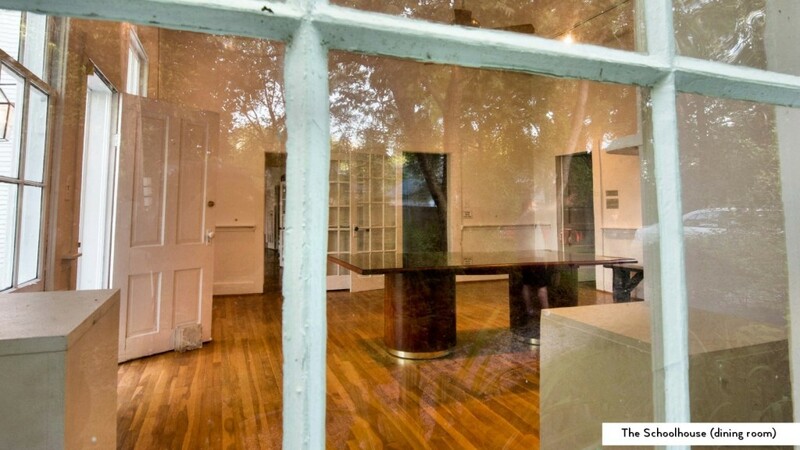 The owners of the property offered the lot to the Fondren Renaissance Foundation, which took on the incredible task of “Saving The Cedars” – raising money to purchase the property and restore the house. Renovation work was completed in the summer of 2004. 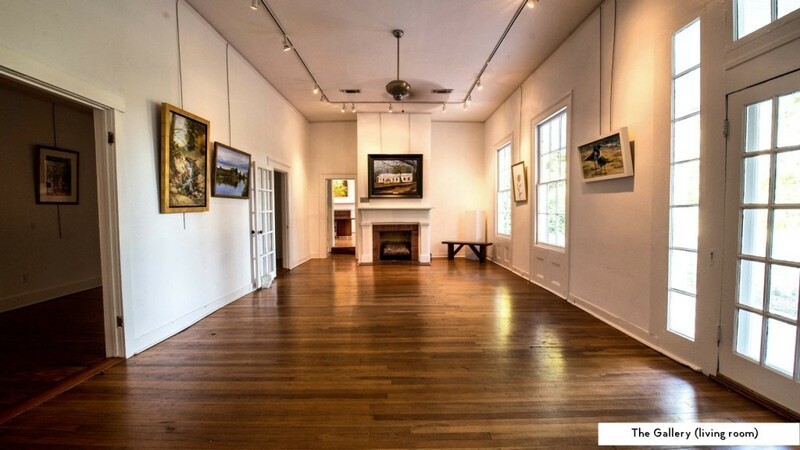 As part of the revitalization, FRF received a matching grant from the Mississippi Arts Commission Building Fund to reuse the home as a community visual and performing arts center. In addition to being rented for weddings and events, The Cedars is used as an art gallery and for community functions, such as FRF’s Symphony at Sunset and the Four Seasons of The Cedars visual and performing arts series. Living spaces: Now the front gallery room, this room and the one next to it to the south constituted the rooms of the original home. The single fireplace, still standing, provided heat during the winter. The front porch and back porch (now the enclosed rear gallery), provided cross ventilation in the summer. All of the everyday activities took place in this room, except for the kitchen, which was not connected to the house because open fires for cooking were a threat to the home. The rear gallery, originally the back porch, served as an extension of the house to the Garlands, with activities such as food preparation, laundry and sewing taking place there. The porch was later enclosed to form a hallway when extra rooms were added to the original structure. 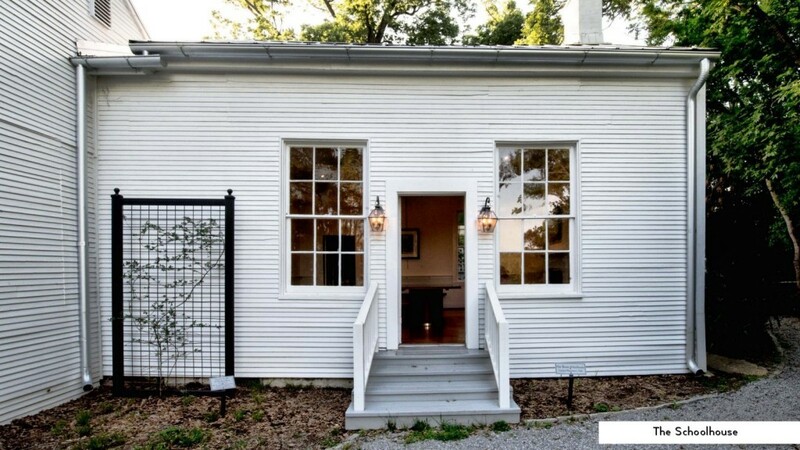 Schoolhouse: Located on the north end of The Cedars, this was originally a one-room schoolhouse. Now considered the family dining room, it was moved and added later to the two-room farmhouse. What may look like a typical dining room chair rail is actually the original chalkboard ledge from its schoolhouse days. Evidence of the addition can be seen with the step down in floor height to the front room and with a small closet and bookshelf added as a transition between the two buildings. This room is one of three that comprise the main gallery and reception space in The Cedars current incarnation. Outdoors: FRF still maintains ownership of the property and grounds at The Cedars, named for the grove of trees in the front yard. 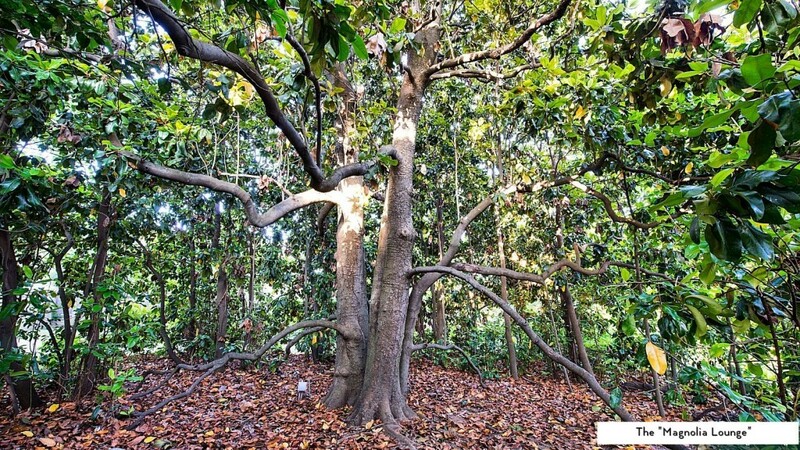 Also flanking the front is a well-established magnolia tree, grown so large that, underneath, it has become a hang out spot for children and popular location on the grounds to feature at wedding receptions. Each year the front yard is filled with residents from the area for Symphony at Sunset, a widely celebrated community event, free to the public, featuring the Mississippi Symphony Orchestra. 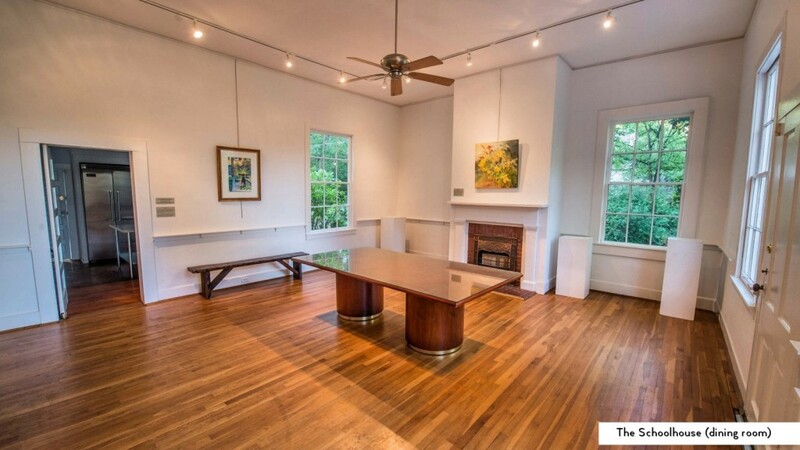 For more information about public events or renting The Cedars to host your own event, visit Fondren.org.